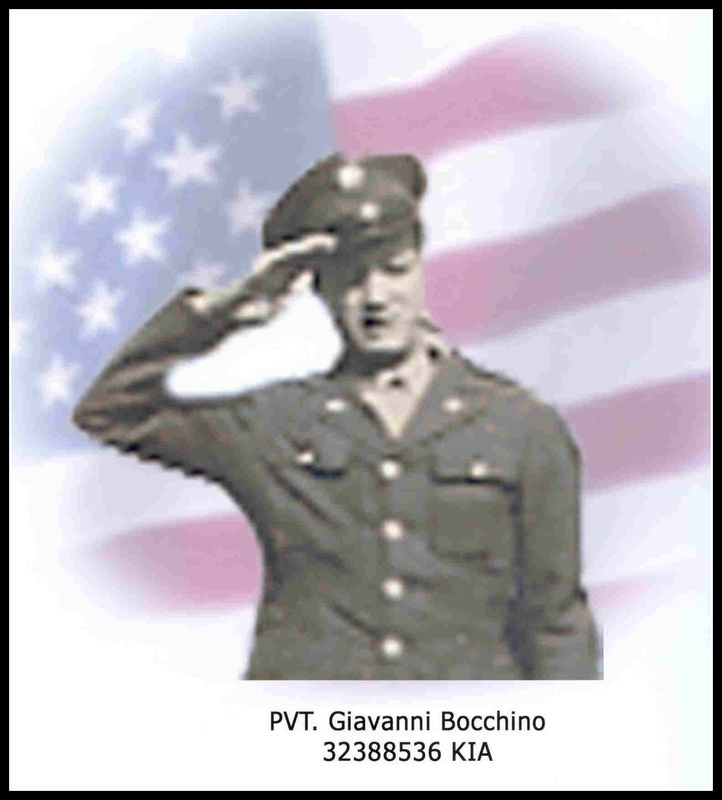 Private Giavanni Bocchino entered into active duty July 17, 1942, and died in the service of his country in the Southwest Pacific area on the island of Leyte on Oct. 25, 1944. Giavanni (John) was born on Dec. 3, 1923, to Anthony and Michelina Bocchino who had seven other sons and one daughter. They lived at 16 Lake Street, Belleville. At a very young age he married Mary Gammaro and moved with his wife and her family at 369 Lake Street where his daughter still lives. John was survived by his wife, Mary, son Anthony, daughter Michelina. A son, John, was born Jan. 3, 1945, three months after his father died. Giavanni was only 21 years old. 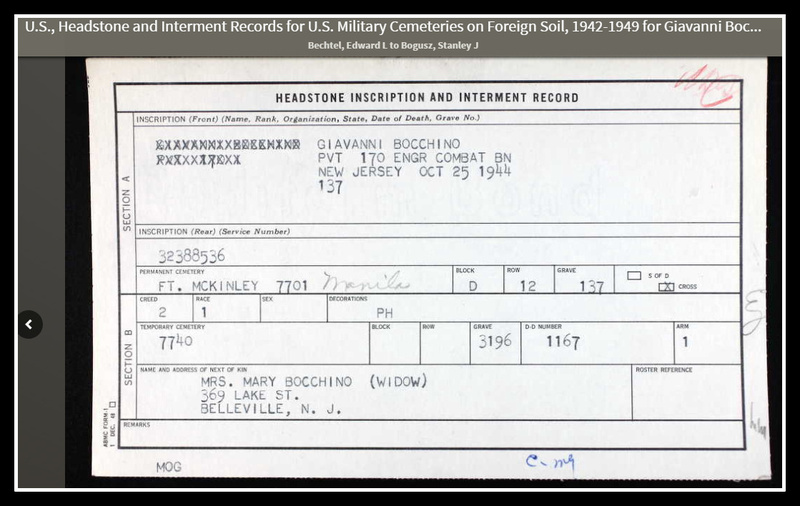 (Dec. 14, 1944) -- Bocchino was inducted July 1942. He had been overseas with the Army engineers for three months. Lake St. at Honiss St.